I was given this soundtrack as a gift and I love it! Finding it with the slipcase still in good condition is becoming harder and harder so when I was given this it was an awesome surprise! 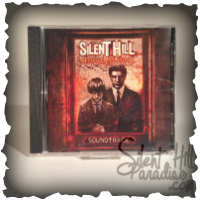 This is the official release of the original Silent Hill soundtrack. This version was released in Japan. The cover to the Japanese soundtrack is different to the European release. It also does not come with a slipcase. This version of the soundtrack is not an official version as their is no Konami logo present anywhere. Once again the European soundtrack comes with a slipcase. I was given this as a surprise gift by a fellow collector! 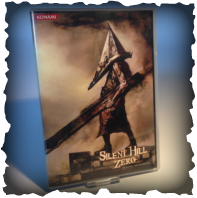 The official Japanese soundtrack for Silent Hill 2 features the Konami logo on the front and back. I really like the artwork for this soundtrack. This Cd is still sealed. 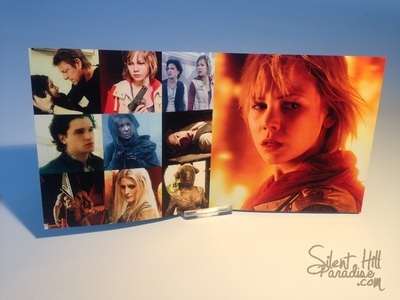 The European soundtrack comes with a slipcase and features Heather on the front of the booklet. I won this on ebay quite a few years ago for next to nothing and I had no idea it was official at the time! The cover to the Japanese soundtrack is different to the European release. It also does not come with a slipcase. This version of the soundtrack is not an official version as their is no Konami logo present anywhere. It is however still sealed. 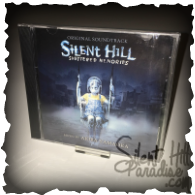 This soundtrack was given to the press to promote the release of Silent Hill 3. 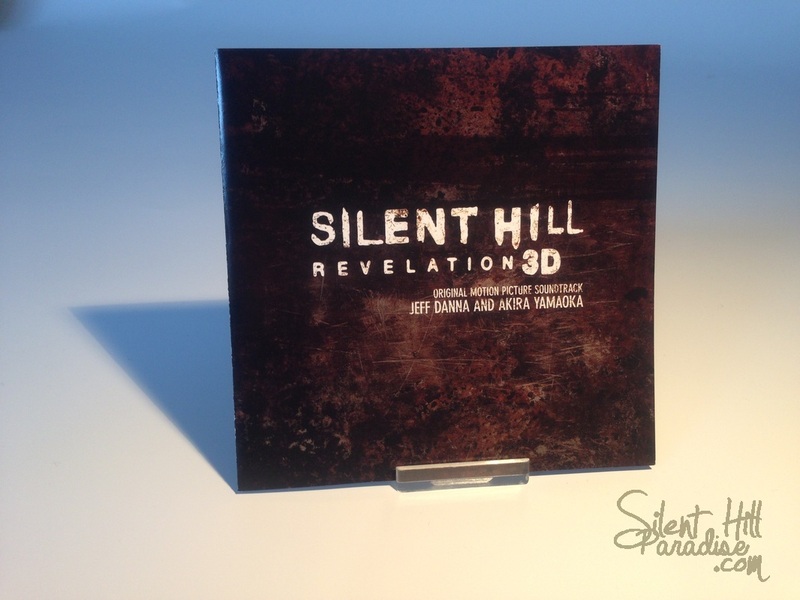 This soundtrack is the european version as the web address printed on the disk is for the Konami Europe website. 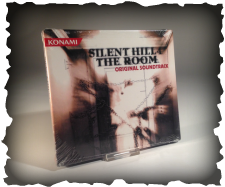 This soundtrack is the european version as the web address printed on the disk is for the Konami Europe website. This version of the soundtrack features mildly different cover art (Konami logo is moved as is the 'Not for sale' print). This version also comes in a regular case without a spine. The insert still opens up to reveal lyrics inside. Once again the European soundtrack comes with a slipcase. I won this on Ebay for a steal! It is still sealed and I doubt very much ill ever actually open it. 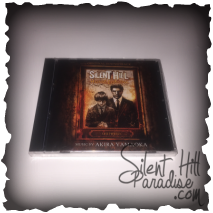 This soundtrack was given out to all pre-orders for Silent Hill 4 in North America. I managed to get my hands on a sealed copy via a game auction website. This is the official Soundtrack for Silent Hill 4. It features the Konami logo on both the front and back. This soundtrack is 2 discs and is still sealed. 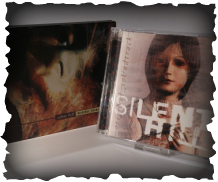 The Japanese soundtrack for Silent Hill 4 comes with 2 discs and features different artwork to the Limited Edition and European sountracks. This version of the soundtrack is not an official version as their is no Konami logo present anywhere. 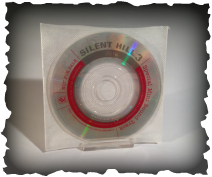 This mini Cd comes with the first edition of Silent Hill 4 in Japan. 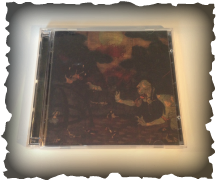 The Cd contains one untitled track and Room of Angel. The Robbie Tracks Soundtrack features 3 tracks in total, titled 'German', 'French'and 'Swedish'. Originally this soundtrack came with a T shirt in a brown cardboard box. It was available through Konami Style Japan. This soundtrack was given out with pre-order of the game at Gamestop is the USA. It comes in a cardboard sleeve. This sound was given to me as a gift. It is still sealed! 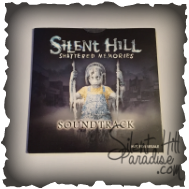 This soundtrack was given out when you bought Silent Hill Origins or Silent Hill Homecoming at Gamestop as an additional bonus. The original soundtrack was released as an exclusive in North America with pre-orders at various outlets. It was later released via Amazon as a print-to-order soundtrack. I purchased this soundtrack from Amazon. It is still sealed. The Book of Memories soundtrack is actually better than I thought it would be, especially after all of the negativity towards the game. I won this on ebay for a very good price! I purchased this from ebay and it also came with the Downpour strategy guide. Got them both for a great price too! I later purchased an additional sealed copy from Amazon. 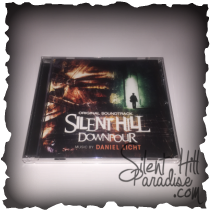 Silent Hill Downpour European Soundtrack. The European Soundtrack for Silent Hill Downpour. 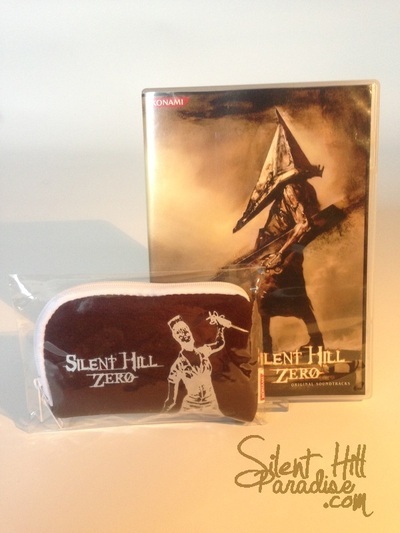 Silent Hill Zero Soundtrack sealed and unsealed. 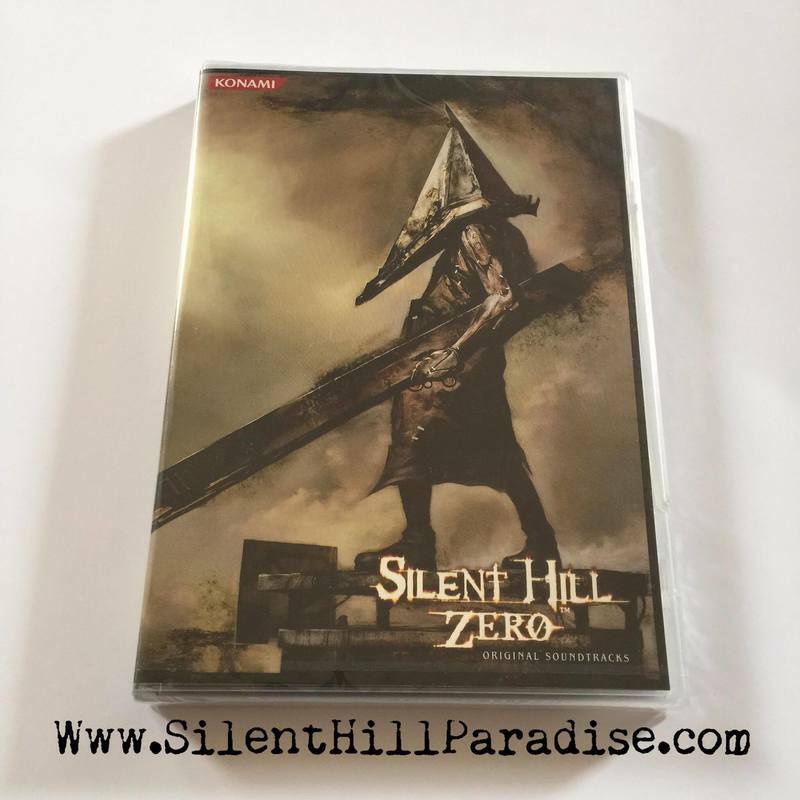 Silent Hill Origins was changed to Silent Hill Zero in Japan and the soundtrack was released in a Dvd style case. Inside the case is a fold out short story about Pyramid Head. When you pre-ordered the soundtrack via the Konami Style Japan store it also came with a small UMD case which features a nurse on the front. 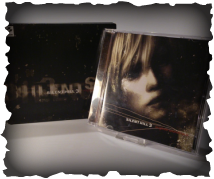 The official Silent Hill Origins soundtrack ordered through Amazon. This soundtrack is official and still sealed. This limited edition boxed set features all Silent Hill soundtracks right up to Silent Hill Shattered Memories. It contains a total of 8 Cd's and 1 Dvd which contains game trailers. 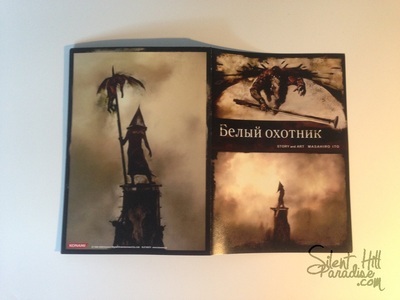 The Sounds Box also comes with a small booklet which features various Silent Hill art work. All of the discs are stored in a black box with the name of the set on the front in silver. This was given to me as a gift for my birthday! This is the soundtrack to Silent Hill Revelation 3D. It is one of my most prized pieces in my collection for a number of reasons. The first being the fact that the physical release of the soundtrack was cancelled for an unknown reason and the record company decided to go with digital downloads instead. 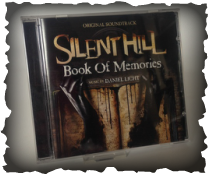 Secondly it is signed by Jeff Danna who, along with Akira Yamaoka composed the soundtrack! The final reason its one of my most prized items is because it was actually given to me as a gift! An incredible gift that I am extremely grateful for! 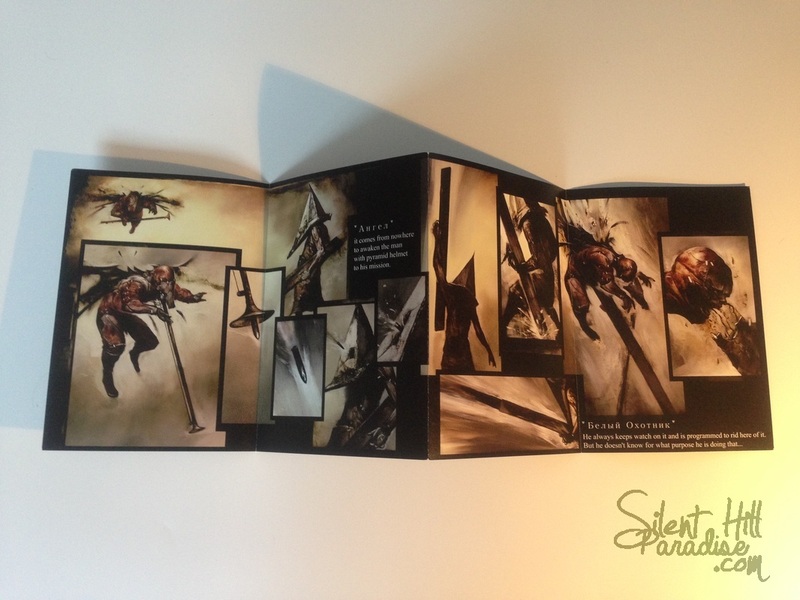 Below are a few more images showing more of the soundtracks artwork. Silent Hill original soundtrack on Vinyl Snowfall and Black releases. Released by Mondo in April 2017. The original soundtrack came in 2 different variations and was released on vinyl for the very first time. The first variant was a snowfall coloured vinyl which was limited to 2000 copies. The second version was a standard black vinyl release which is much more common and available in most record stores. The vinyl features artwork by Sam Wolfe Connolly. I have both the black and snowfall versions and they're still sealed.